Residences @ W Sentosa Cove is magnificently built at the heart of Ocean Way, Sentosa Cove at District 4 Singapore. It has an elegant architectural structure that warmly embraces the cool breeze of the ocean scenery. Built by the renowned CityView Place Holdings Pte Ltd, it encompasses 7 blocks of a 6-storey property development. Breath in the relaxing ambiance that this resort-like property offers, you will truly experience luxury and comfort just in one place. Residences @ W is overlooking the vast beauty of the blue ocean that almost blends into the sky. It is simply breathtaking accentuating the greatness of the marina. 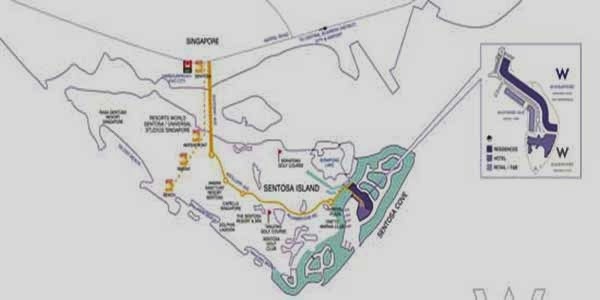 It is also just a short distance from the famous attractions in town such as the grand Resort World Sentosa, Universal Studios, Sentosa Golf Club and Spa Botanica. You can also spend lots of shopping spree at the known Tanjong Pagar Plaza and Vicor City and you will never get bored when you get to the busy streets of the Central Business District (CBD). You can just travel anywhere you want with easy access on transportation via MRT stations such as the Harbourfront MRT, Tanjong Pagar MRT, and the Marina Bay MRT. Driving also becomes a leisure time with the swift drive through the Central Expressways (CTE), East Coast Expressway, and the West Coast Highway. Residences @W is surely the best place to be! *Residences @ W Sentosa Cove VVIP Preview is available strictly by Appointment. Showflat opening hours may varies. For opening hours, do call our Sales Hotline at 6100 0877 or register below for your VVIP Preview.